We've taken our already amazing hot and cold pack and made it even better. NOW 20% LONGER the NEW Physique Elite Reusable Hot & Cold Pack will provide even greater coverage to manage injuries, pain and discomfort. 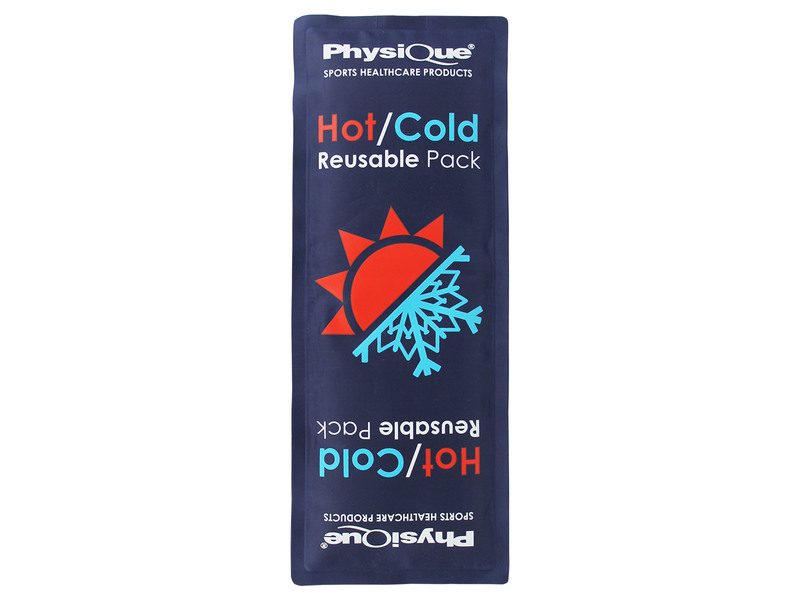 The Physique Elite Reusable Hot & Cold Pack is a reusable hot or cold gel pack that can be heated in the microwave or frozen in the freezer, to provide heat therapy or ice cold therapy when treating a wide range of injuries, pain and discomfort. 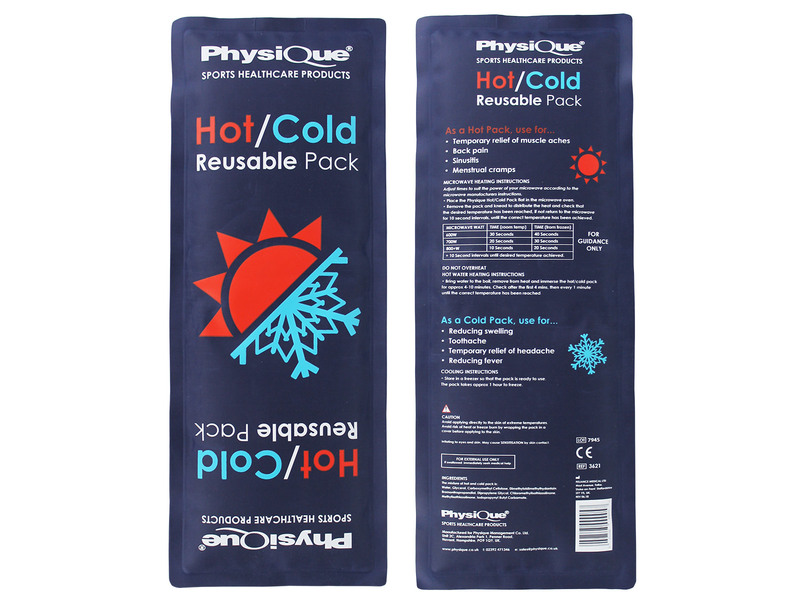 Simple to use and provides long-lasting hot or cold therapy, longer than a standard instant hot or cold pack. Easily heat in the microwave and use warm for effective relief from muscular and joint pains, or freeze in the freezer and use cold to reduce swelling and inflammation. Featuring the highest quality and durable materials, the Physique Elite Reusable Hot & Cold Pack is extremely versatile and reliable. As a medically approved device, the hot and cold gel pack is ideal for treating soft tissue injuries, sprains, strains, bumps and bruises. Measuring 34cm long and 13cm wide the Physique Elite Reusable Hot & Cold Pack is perfect to lay or wrap around the required body part. 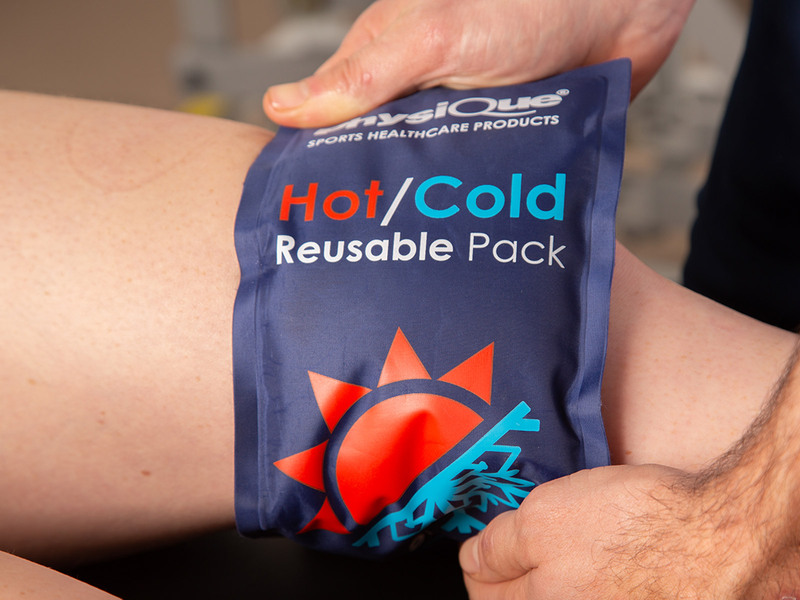 We've optimised the gel content so when the heat pack or cold pack is wrapped around a body part the gel spreads evenly throughout the pack, providing greater contact and improved results for pain relief and recovery. The flexible and hard-wearing nylon outer material is soft and comfortable on the skin and can be easily wiped clean for hygiene control. Each Physique Elite Reusable Hot & Cold Pack contains a non-toxic gel that quickly becomes flexible when removed from the freezer. Suitable for use on all ages to provide effective pain relief, our hot and cold pack is an extremely useful addition to any first aid kit. Great to keep at home, office or for your sports team and any other activity where knocks and bumps occur. A quick and effective cold compress or heat pack. Our customers recommend having more than one pack is very useful so you can store one in the freezer and the other is ready for the microwave when needed. The pack will remain flexible at low temperatures. Always wrap pack in a cloth or sleeve before use.